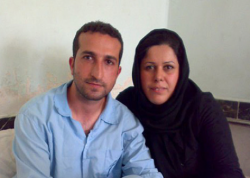 Pastor Youcef Nadarkhani’s legal nightmare began in 2009 with his arrest for apostasy. The 34-year-old father of two was pastor of a Christian congregation in the northern city of Rasht. Key to his fate has been the question of whether he converted to Christianity as an adult, thus contravening Iran’s strict apostasy laws. During various court appearances, he has declined to renounce his Christian faith. Ultimately, the Iranian legal system has declared that Nadarkhani’s conversion to Christianity at age 19 constitutes a betrayal of his Muslim heritage. Last week, an Iranian court upheld his sentence of death by hanging—a sentence which could be carried out at any time. “The IRLA is committed to being the voice for the voiceless, and to continuing the fight for freedom of conscience for all people, no matter what their faith tradition,” says Dr. Graz.